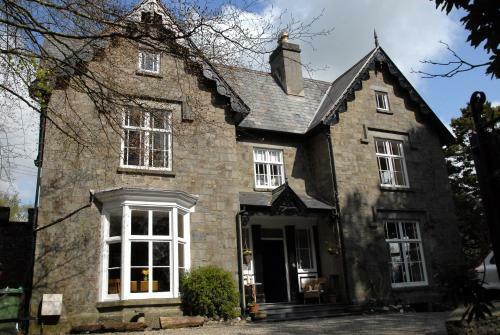 This Grade II listed bed and breakfast hotel occupies a central position in Bala in the Snowdonia National Park. Great base for cycling, rambling and watersports. The small Welsh market town of Bala sells itself, pretty much. The scenery is breathtaking, there is wildlife in abundance and at Caerau Uchaf Gardens you have the highest (and easily the best) formal garden open to the public. Visitors can take a scenic ride on Bala's tiny railway, canoe on Llyn Tegid (the largest natural lake in Wales) or take a bike across the high passes of Bwlch y Groes. The two rooms available at the Bodiwan both offer flat-screen TV and an electric kettle. There is also a private bathroom with either a shower or a bath. Extras include an outdoor seating area and bed linen. The National White Water Centre/ Canolfan Dwr Gwyn Genedlaethol is just over three miles away and Snowdownia can be reached in under forty-minutes. Free WiFi access, a hot tub and free on-site parking.